Casseroles are perfect winter food: they require long, slow cooking and are warming and comforting. They are also ideal if you are cooking for a large number of people because the quantities can easily be increased. Furthermore, if you are entertaining you can make your casserole ahead so that on the day it only requires reheating and you can concentrate on spending time with your guests. Despite knowing all of this, for me there’s a problem: I hate making casseroles because I hate the meat-browning stage of the process. My kitchen is always left with a film of grease on every surface and my hair looks like I’ve spent the day working at the local chippy. Browning the meat for a casserole, we are told, seals in the juices and assures flavour, so it probably isn’t a stage we should skip. But what if we could? One of my Aga recipe books suggests browning the meat for a casserole in the roasting tin in the roasting oven, which seems to me to be the answer. 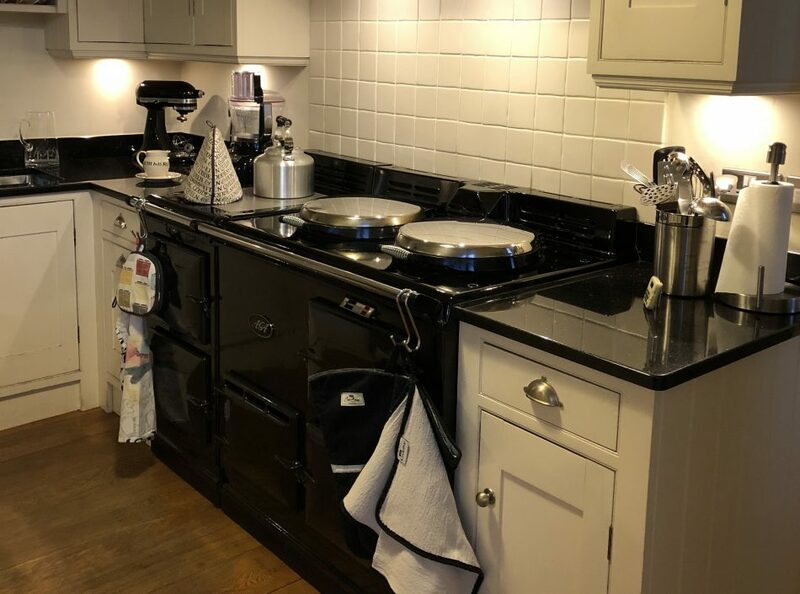 After all, you need a high temperature and the Aga roasting oven is hotter than the highest setting of most conventional ovens. We had ours with delicious sourdough bread, purchased that day from the wonderful Hart’s Bakery in Bristol, and a green salad dressed with extra virgin olive oil and balsamic vinegar. If we hadn’t had delicious, fresh bread to hand, I’d have served the ragù with pasta. Tagliatelle would be perfect.